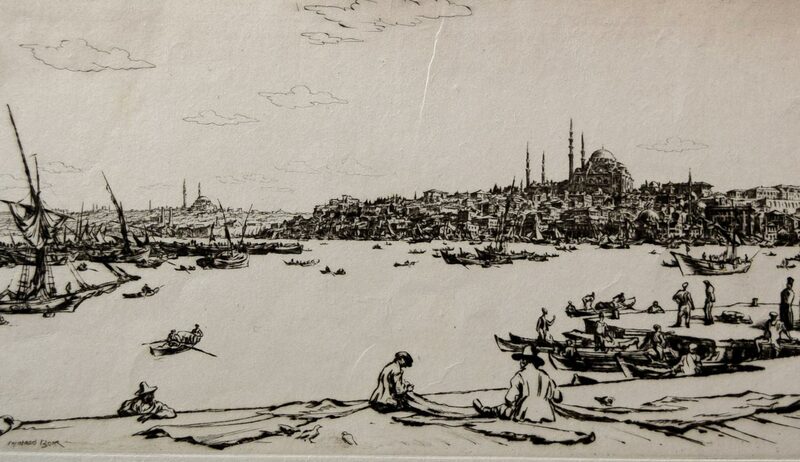 Muirhead Bone (Scottish, 1876 – 1953), Constantinople, 1934, etching and drypoint, Museum Purchase, 1968.461.1. 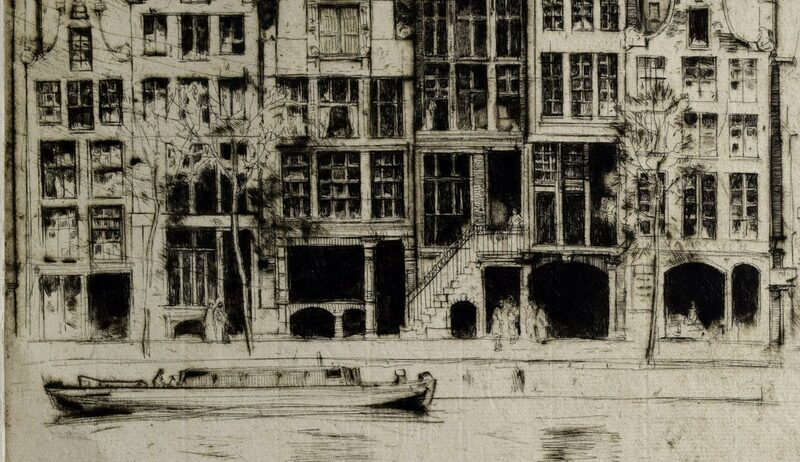 Sir David Young Cameron (Scottish, 1865 – 1945), Souvenir d'Amsterdam, 1915, etching and drypoint, Museum Purchase, 1951.28.1. Expatriate American artist, James Abbot McNeill Whistler (1834 –1903) played an essential role in the etching revival of the 19th and early 20th centuries, and will be the featured among some of his contemporary printmakers in Whistler & Company: The Etching Revival. 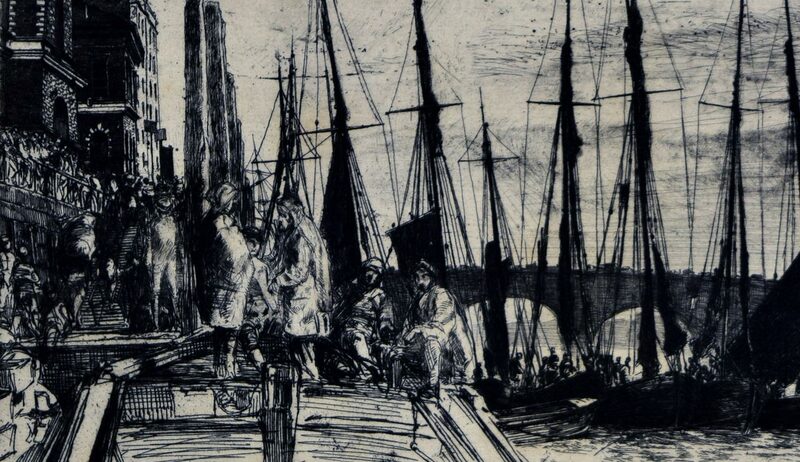 The exhibition includes nearly a dozen works by Whistler, whose gritty images of the River Thames, views of Venice, and Parisian scenes revived, at least in part, the art of etching in the 19th century. Works from Whistler’s ‘Thames Set’ and ‘French Set’ will be featured in the exhibition. 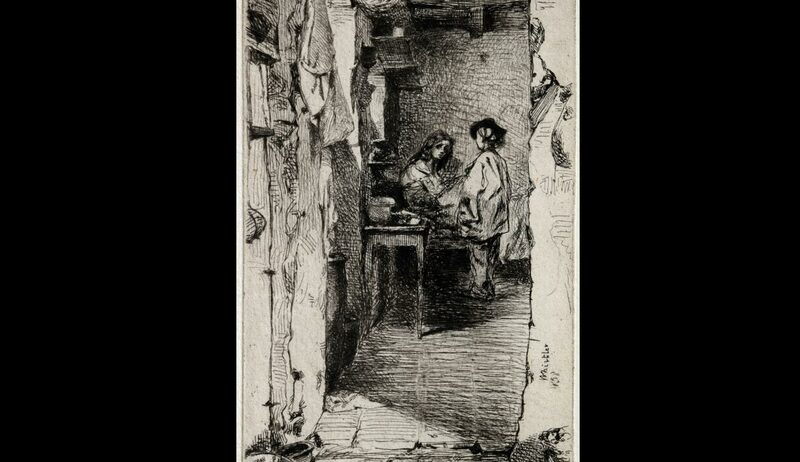 Other artists who participated in the etching revival include Francis Seymour Haden, James McBey, Edwin Edwards, David Young Cameron, Muirhead Bone, Mortimer Menpes, Charles Meryon, Maxime Lalanne, Joseph Pennell, and Frank Duveneck, among others. The etching revival of the second half of the 19th century took hold in France, England and the United States. Artists set out to reestablish etching—the art of incising lines with an etching needle into a thin copper plate which was then inked and pressed into paper with the help of a printing press to create impressions—as an art form that could stand on its own. Inspired by Rembrandt, and old masters, practitioners created remarkable original and expressive compositions that gained popularity with refined collectors and the broader public. All of the works in in the exhibition are drawn from RPM’s permanent collection of works on paper, which numbers more than 10,000.